In May of 2008, I stepped off the track as distance coach at Silver Creek High School after 5 years of coaching. I had become increasingly interested in racing a full Ironman triathlon after competing several half Ironman races and wanted to dedicate myself to my training and find the best training methods possible. Little did I know this would eventually lead me back to coaching with a new mindset and tools to achieve success. It was during this time that I became aware of TrainingPeaks and began using it for my training. Particularly, the Performance Managaement Chart (PMC) was intriguing to me and it made me think of my long career as an endurance athlete. When thinking of my own personal experiences as an endurance athlete and my recent experience as a high school coach I began to ponder, “what if I had a Performance Manager Chart tracking me from day one as a 10th grade runner”? What would my PMC profile look like across all those the years from high school, through college, my decade of marathons, my duathlon phase and finally, the triathlon years? Now back in the coaching scene, I couldn’t help but wonder if this tool could possibly be used to track and monitor fitness levels at the high school level. Since the TrainingPeaks platform is widely used for training cyclists, triathletes and runners of all abilities, I was fairly certain that if we had consistent training data coming from high school athletes we could also visually identify where an athlete is located in their fitness journey. In addition, a coach may be able to project for them how they can expect to improve over upcoming seasons. As coaches, there are always a few key principles that we want to convey to the athletes throughout their high school careers. The PMC might just be the tool to accomplish this. Our coaching team of myself, Head Coach Barb Keith and Distance Coach Courtney Rolando came up with several key points that we envisioned bringing to the athletes attention while using TrainingPeaks. Indicate through the Performance Manager Chart that it’s highly beneficial to shed fatigue after a long season build toward the final A-level races. And, indicate when an optimal time to resume training may be. Quantify through the Performance Manager Chart what fatigue actually looks like through the use of the Training Stress Balance (TSB) function. Indicate through the Performance Manager Chart that it’s necessary to race tired at times. In addition, with some patience, you’ll bounce out of the “fatigue bucket” (negative TSB values) and likely set new personal bests. Forecast through the Performance Manager Chart proper timing of the end-of-season taper phase. Quantify through the Performance Manager Chart the fitness profile of a full time, 3-sport athlete. In addition, manage the output of a same season dual-sport athlete. Again, out of curiosity, I was always interested in observing how athletes of different phenotypes compared to one another. This could possibly reduce or eliminate the one size fits all training model. I did have concerns about applying the platform to the high school age group at some point in the future. My main concern was that since the PMC rewards long duration aerobic efforts, would the PMC be of any use when the high school athlete’s training regimen shifts toward very short, anaerobic efforts? In triathlon and cycling, athletes primarily train to accumulate as many Training Stress Score® (TSS®) points as possible to grow the Chronic Training Load (CTL) line which is best garnered through the execution of long aerobic efforts on the bike. In addition, triathletes usually plan for 2-3 races in a 10 month period. 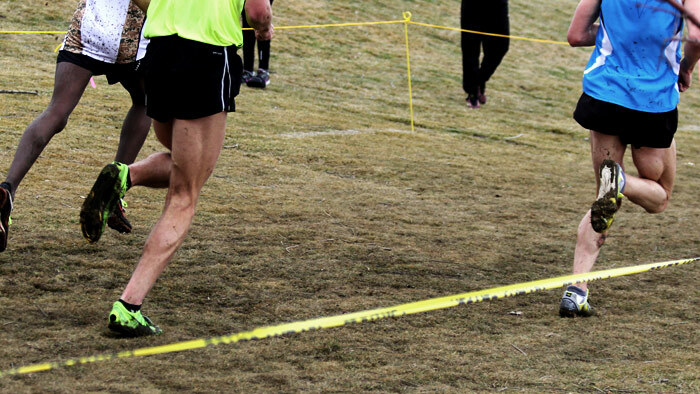 One race would be a B-level race built into a period of moderate fatigue. The other 2 races are typically A-level races with one being a qualifying race. On the other hand, high school athletes are typically racing once per week and races last anywhere from 1 minute to 25 minutes. In comparison, and despite both the triathlete and high school athlete improving from their super-efforts, the data supplied from each group would provide far different TSS and TSB values and thus a totally different PMC profile over time. After accepting the likelihood that this class of athlete may develop unique and far different looking PMC profiles compared to the cycling and triathlon world, we wanted to see just how different they would be. In December 2013, the coaches at Silver Creek High School and I threw on our white laboratory coats with a big hypothesis: We pressed forward with a concerted effort to observe, quantify and graphically describe what we’ve known for years as 6th sense intuition about how young athletes are trained across the year. Could it help us to draw some conclusions on how to better train our athletes for tomorrow, next week, next month and across their entire high school career? It was clear to me from using the Performance Management Chart personally for nearly 3 years that this could ultimately define the term “Athlete Development”. Not only that, but we believed there was a good chance that we could start to eliminate the one-size-fits-all training. With over 3 months of data associated with some of our athletes this track season, we’re getting some interesting looking PMC data and starting to get an idea of what a track season profile actually looks like quantitatively. The method we used to determine the rFTP (Functional Threshold Pace) for each athlete. rFTP is the important Threshold Pace to base all output. Each athlete’s rFTP is unique and improves through time. How we can infer individual workout TSS and track fitness for the athlete with no GPS/HR tracking device thereby allowing a larger portion of a team getting involved. Along with the determination of rFTP, we’ll get into some useful and interesting indications regarding an athlete’s unique phenotype. Along with providing our methodology with the use of the TrainingPeaks platform, we’ll note some interesting items we found along the way regarding our athletes. We’ll also describe some ways to safely achieve more weekly TSS out of the athletes and thus a higher CTL Peak. As we work our way through the first half of the 2014 track season, our approach of letting the data paint a portrait of how we manage our distance team is starting to take on some color. Kyle Fredin is in his 7th year as the track and cross country coach at Silver Creek High School in Longmont, Colorado. Kyle ran in high school and collegiately before pursuing distances from 10K through full Ironman. He won his age group at the 2006 70.3 World Championships and has twice raced the Ironman World Championships in Kona, Hawaii. He also has a marathon P.R. of 2:27. Kyle has been a TrainingPeaks user for over 3 years. When not coaching or training, Kyle is a Meteorologist for the National Weather Service Forecast Office in Boulder.